Black Star Rust Converter Before and After Application! Converts rust to a slick polymer resin coating. 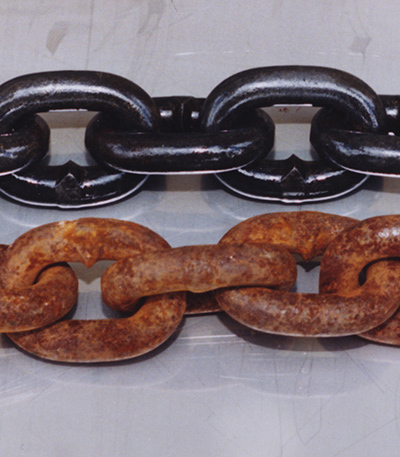 Instantly turns rust into a hard corrosion resistant polymer resin. ..NONE OF THAT IS REQUIRED! 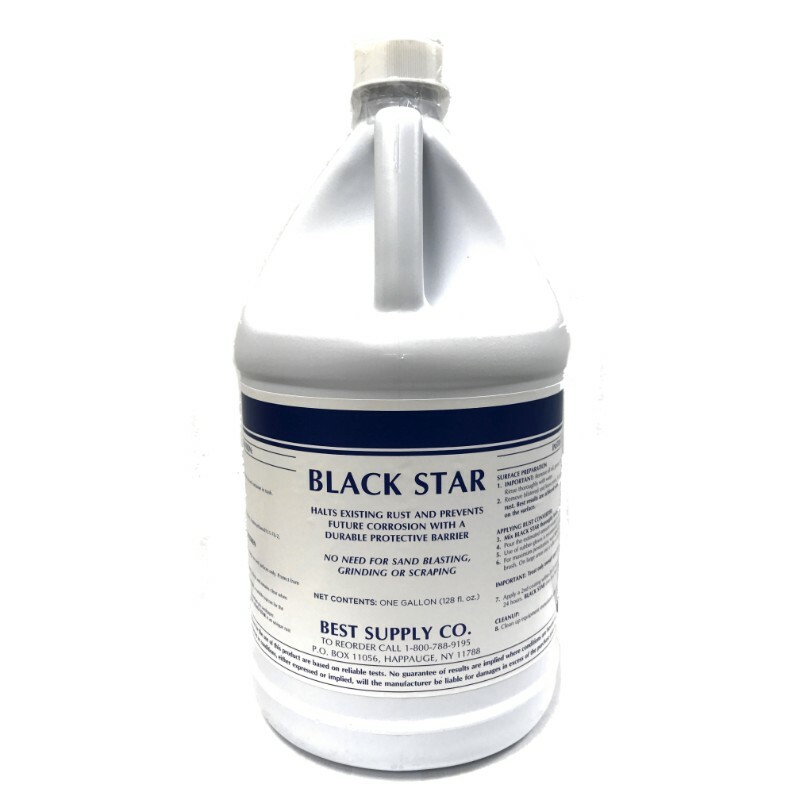 Looking for Black Star Aerosols? Click here. 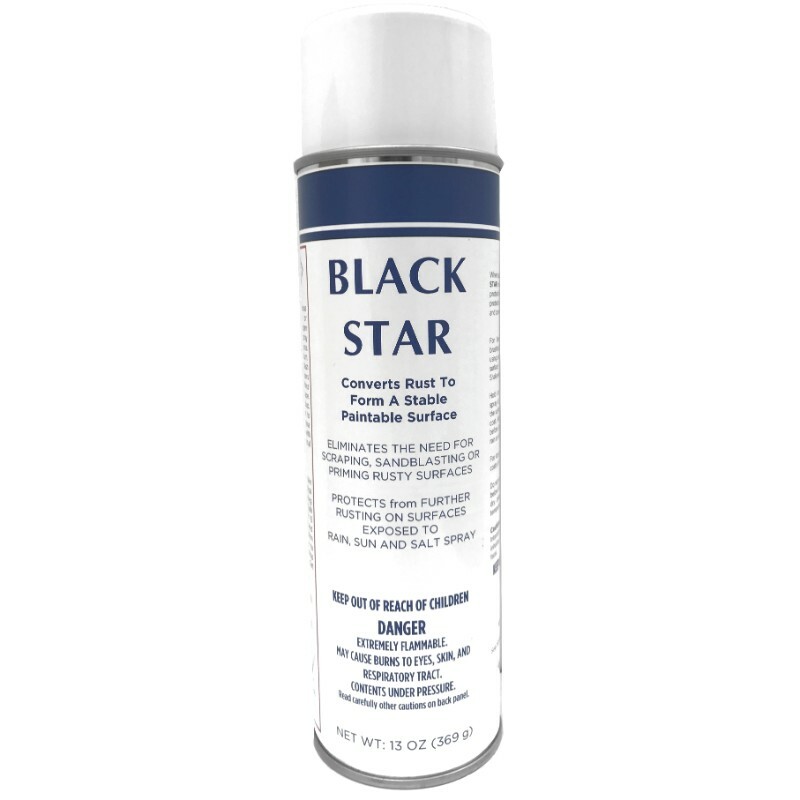 Black Star Rust Converter acts as an outstanding primer or durable final coat. 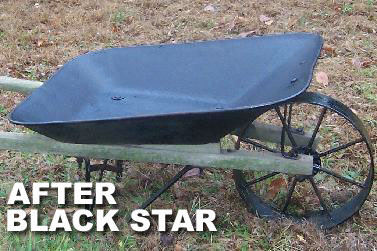 Black Star converts all rust to a smooth, rustproof protective coating that won't re-rust. Guaranteed! Please note that the on-screen color representations are not necessarily precise representations of actual product color due to variance in monitor calibrations. Used on Oil Rigs in the North Sea to Farmers in the Heartland. Instantly converts rust to a hard resin, even in harsh weather conditions. 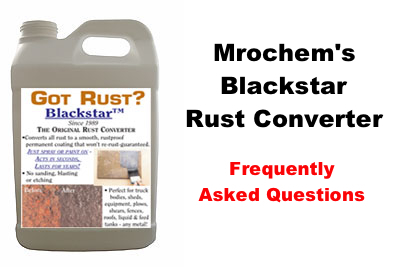 Black Star will kill rust dead and keep your metal rust free. Guaranteed! 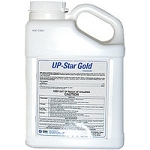 Use on fences, metal roofs, steel sheds, grain bins, cars, trucks, trailers, marinas, buildings, oil rigs, any metal exposed to the elements, or exposed to corrosive chemicals such as fertilizers or rock salt. Literally Hundreds of uses!! Check out some of our great feedback! "WOW, the surface is Slick as ice, smooth as a rifle barrel!" - Billy F.
"My Fertilizer bin looks brand new. Great job!" - Mike S.
"1,000 feet of fence is now rust free! You guys ROCK!! Thanks!" - Meg T.
"My old tractor is like brand new, and this time I painted it red. Fantastic Product." - Paul D.
"My Trailer looks great- No More Rust!" - Richard L.
"I'm using all of my rusty tools again. NO RUST, that stuff works FAST!" 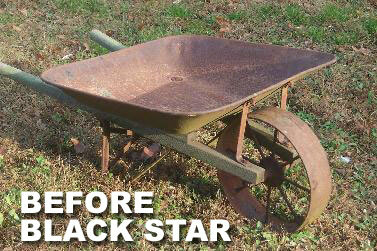 - Walt F.
"Bought a rusty part cheap then applied Black Star Rust Remover- saved me a ton of money. Thanks." - Tommy B. "My antique car looks great. Product EXACTLY as described." - Sal G.
This is an amazing product. I thinned it a bit with water and sprayed it with a garden sprayer to the rusted frame of a 1998 4 wheel drive vehicle in Minnesota. I had cleaned the loose rust off the frame with a pressure washer at close range to remove loose rust and scale. I had let it dry thoroughly. I then sprayed the frame making sure to wet all the areas showing rust with BlackStar Rust Converter. The next day the underside of the vehicle was all black with no rust showing. I am extremely pleased and will use this product again and recommend it to others. My company restores historic Military Vehicles. We have used Blackstar on numerous vehicles. It is perfect for application to frames, springs, tie rods etc. it saves my customers a good deal of money avoiding the cost of blasting or stripping the rust from these components. Blackstar provides a smooth surfact that is also a good bond for paint. I used black star on a trailer I built from old rusty I beam from a trailer home I salvaged.That was about 2 yrs ago and still no rust.Blackstar works great.will buy blackstar again. I manage a 8,000 acre farm with all kinds of equipment, grain bins & steel roof buildings that build up rust. 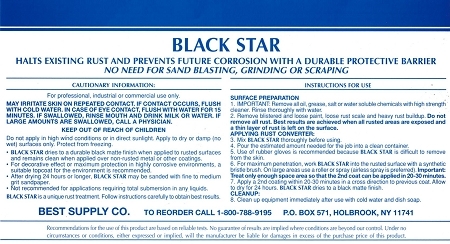 I used Black Star on our trucks, trailers, inside the bins, pipe fence, propane tanks-pretty much everywhere over the last 3 years. Stuff works great, rust hasn't come back, Painted over it and everything looks good as new.I highly recommend this product. Saves me a ton of labor costs. Excellent product. Needed to solve my rust problem for an old BMW restoration. Works perfectly. Great for anything that rusts. BlackStar lives up to its advertising. It's simple to apply and does what its advertised to do. I used it on an all steel trailer that had been neglected outdoors for quite some time. After application the trailer looks 100% better and most importantly no more rust!! Very happy with the results and will be ordering more to tackle other jobs. 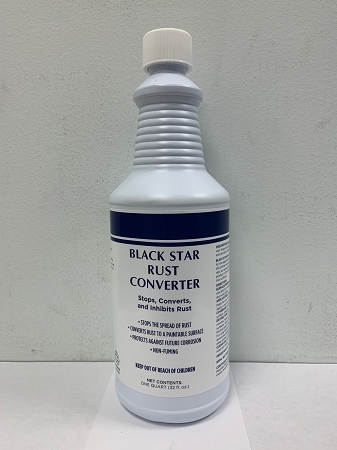 Wanted rust protection on gas piping and purchased a gallon of Black Star Rust Converter. This product works great and as advertised. It is a far better product than what you can buy at Lowes or Home Depot. Very easy to apply as well as cleanup. Made a believer out of me. I'm so glad I found something to use on my grain bins that wont rerust. This is the only stuff worth buying. This Product Is Really Awesome... Great Purchase! This product should be a staple in everyone's home. 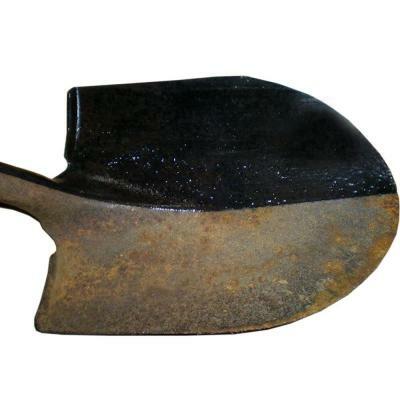 I have used on our wheelbarrow to stop the rust, and it is simply amazing stuff and works. however, it is thin and will go a long way so you don't need too much :-) Thanks! critique: 28 Sept. 2016 So far, it seems OK. It is facil to apply, and as advertised turns ferrous oxide into a black, hard coating which can be painted if desired. Didn't think it would work, but what a surprise. Treated the tops of my rusty trash cans a year ago and there still fully protected, and they are out in the weather all year. Neighbor had a fender bender on the back hatch door that left the paint cracked like a spider web. Rust started and drained down the rest of the door - very ugly. I simply sprayed Black Star beneath the paint skin - no more rust or streaks. As I wiped off the over spray, it helped to clean off the rust streaks also. Overspray not found until later cleaned off the good paint very easy. What a great product, did a wrought iron table in the spring and still looks as good as the day it was new. I have used your product and it is great. I love the rust buster it disokves the rust immediatly. Black Star has done a remarkable job of haulting rust on our steel trawler. I couldn't be more pleased. No more red streaks. When I finish the project, I will report later on how well it holds a top coat of paint.